When we look at Battersea and its ongoing development, it´s helpful to have a point of reference, a way to predict the direction the area´s fortunes will take. Take East London. East London has undergone a huge transformation over the last three decades, changing from a rundown industrial and residential area to one of the most coveted in the city, home to some of the largest employment, retail and leisure hubs in the country, as well as a prime location for London investment property. It wouldn’t be a stretch to say that the E14 postcode is now vital to the UK and wider European economy. Canary Wharf, which has driven Docklands development since the late 1980s, has prompted a local renaissance in the surrounding areas, reinvigorating employment, and creating social and economic opportunities throughout East London. Once shabby areas like Surrey Quays and Royal Docks are now stylish, modern areas with facilities catering to the needs of the upwardly mobile professionals who work in nearby Canary Wharf. This is why Docklands investment property is not only highly rentable - it’s also a solid investment. The same phenomenon is occurring in Battersea, a neighbourhood synonymous with the enormous power plant that looms over the Thames. The plant closed in 1983, and after years of lying dormant is set for a new life as a leisure and residential development. However, it’s not just Battersea Power Station development that is breathing new life into the area: urban regeneration in areas like Nine Elms is changing the face of a neighbourhood, increasing its attractiveness to buyers moving in from expensive areas north of the river - and from abroad. 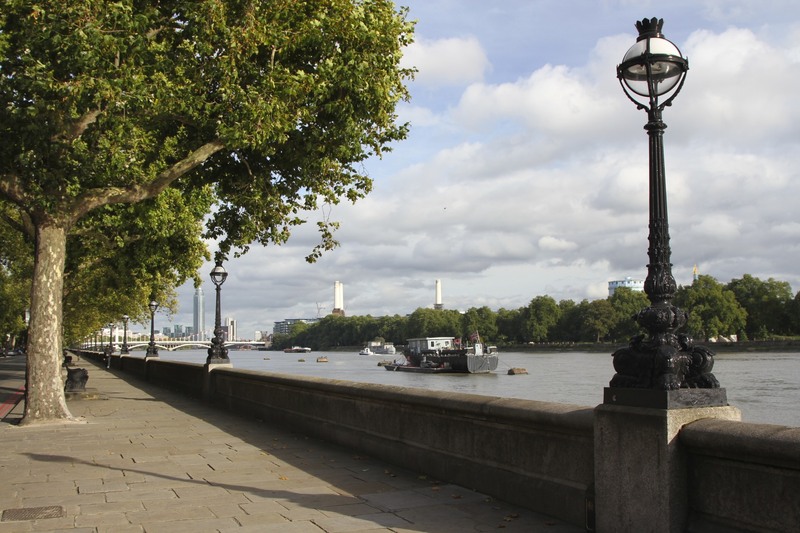 Why buy property in Battersea? Battersea was once a consolation prize for those who couldn’t afford inner city property. These days, it’s an affluent, popular area in its own right, with green spaces, good schools, thriving high streets and excellent travel links. 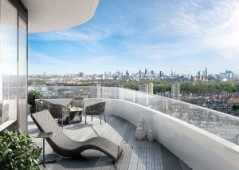 And of course, some excellent lifestyle and investment property in Battersea. Battersea’s streets were once made up of Victorian and Edwardian terraced and detached properties. Over the years, a large number of these have been converted into flats, or knocked down. Now, houses make up around a third of the residential housing stock. 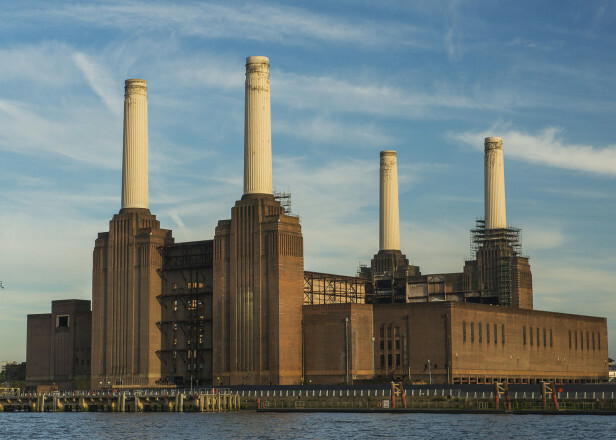 With over £8 billion set to be invested into the Battersea Power Station development, investors are looking to Battersea and the surrounding areas for opportunities. An estimated number of 16,000 homes have been pencilled to be completed by 2020. With residences comes commerce, catering to the new community, which will turn the once quiet area into a busy hub. The Power Station is set to become a world class shopping centre with many international and local London and British brands provided with an opportunity to showcase their products to the millions of tourists that fly into London every year. In 2013 when the redevelopment of the Battersea Power Station was in its initial stages, penthouses went on the market for a whopping £6 million, and more than £600 million worth of properties already sold out by the end of the first quarter. Anyone selling their units last year would’ve made 30 percent profit on their properties. 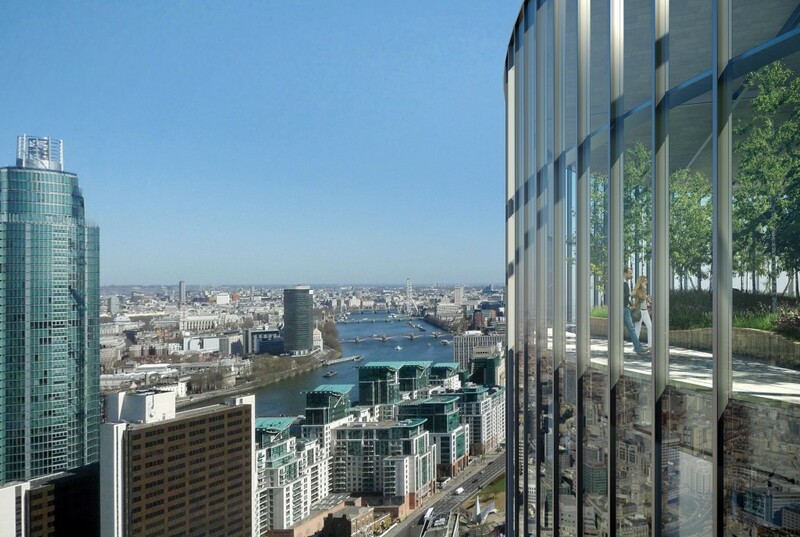 Development isn’t confined to the Power Station complex: nearby Nine Elms is also growing, with new developments including offices, residential, retail and apartments set to appear, to great interest from investors. 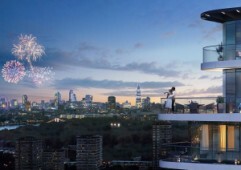 An estimated 13,700 private units are set to be built in Nine Elms, with 6,400 to be completed by 2019. Two new underground stations are also in the pipeline. Just as it did in Docklands, urban regeneration in this area are set to drastically improve Nine Elms’ fortunes. Catering to everyone from young families to professionals to investors, Nine Elms is also set to become one of the most prosperous and diverse parts of London, with residents from Asia, the Middle East and Europe. In Battersea, property prices have grown by 101.3 percent and 48 percent over the last ten and five years respectively. As we’ve seen in similar areas, price growth has slowed recently due to higher stamp duty charges and mortgage regulation. With the average rental in Battersea sitting at around £1,600 per calendar month, rental property is higher than the London average of £1,300pcm. Last year, the average price of a property in Battersea was £767,487, 31 percent higher than the £585,516 London average. However, Battersea property still offers a significant discount compared to property north of the river, for example, Fulham and Chelsea, where properties cost an average of £1.06m and £1.97m respectively - which explains why buyers are moving south of the river to Battersea. Who’s buying property in Battersea? Battersea’s property market is dominated by domestic demand - in fact, a report from Savill’s showed that 25 percent of buyers came from north of the river. However, international investors have a strong presence in the area, accounting for a quarter of buyers in 2015. These buyers typically come from Western Europe, Asia and the Middle East. While most people buy property in Battersea as a residence, 13 percent are investors. Investors are attracted to the area due to the high proportion of rental properties - 32 percent of Battersea properties are part of the private rental sector, higher than the 25 percent London average. As the London economy continues to strengthen, so too will the demand for prime rental property as more people move to the city for employment. This has a knock-on effect on the area’s investment properties. Already well-linked to the rest of the city via a road network, London Overground and Underground, public transport spending has been increased in the area to help link commuters and residents to the rest of London. Work is underway on a London Underground extension that will serve Battersea, Nine Elms and the surrounding areas. Dubbed the Northern Line Extension, it is expected to “help regenerate the Vauxhall, Nine Elms and Battersea areas, supporting 25,000 new jobs and more than 20,000 new homes. 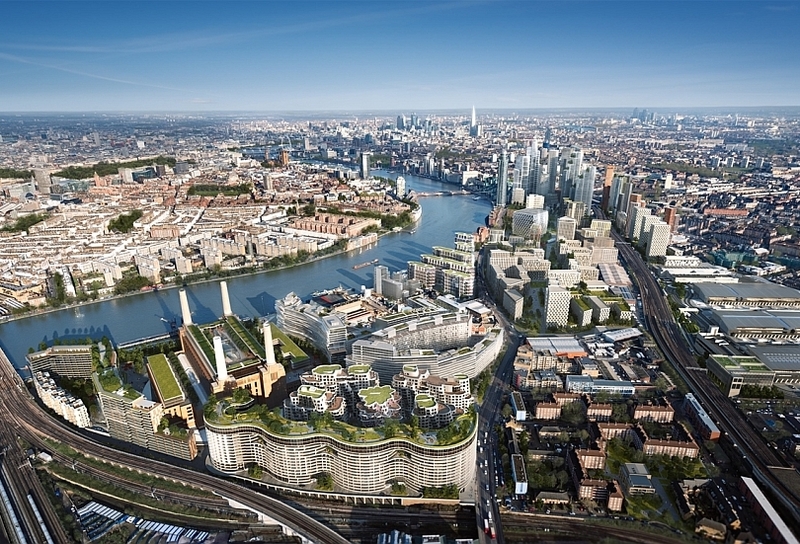 Two new stations to be built at Nine Elms and Battersea Power Station are targeted for completion in 2020”, according to Transport for London. With the new train service, travel time between Battersea and London city centre would be reduced to under 15 minutes. Located on the iconic River Thames, Battersea is uniquely placed to take advantage of the millions of tourists who flock to London. In 2016, London’s Heathrow Airport's passenger numbers rose to a record 75.7 million. 94 percent of them were international travellers and 66 percent were coming for Leisure. This is set to rise over the coming years. Tourism to London alone is set to reach 38 million tourists in 2017 according to VisitBritain.org, a UK government tourism promotion website. Battersea Power Station is set to become a destination for tourists wishing to make use of its leisure facilities. It’ll also prove to be a launching point for other attractions in the area: local museums, parks, theatres and galleries. Like Docklands, redevelopment is set to change the face - and the investment profile - of Battersea forever, creating opportunities for residents and investors alike.